Constructed from 7.75 oz vat dyed twill, Dickies’ Industrial Cargo Pants deliver extreme durability and value. 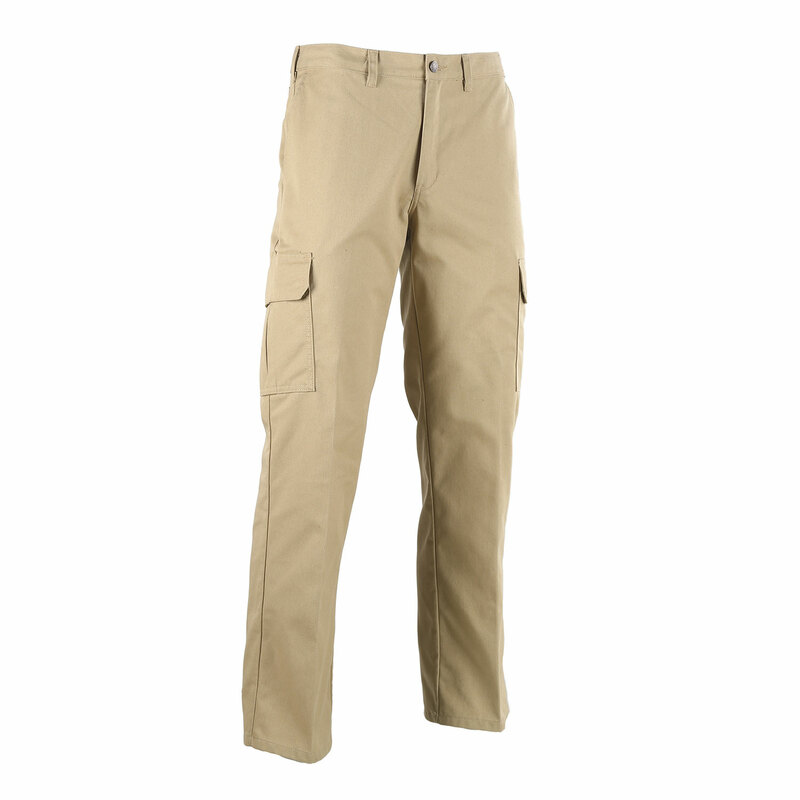 Pleated cargo pockets with hidden snap closures keep essential gear secured yet readily available. Industrial laundry friendly, with Stay Dark® technology to reduce fading and keep you looking sharp. Features a mid-rise waist and a relaxed fit that provides extra room in the seat and thigh for maximum comfort. I have these pants in the past. They lasted a long time. Great fit, awesome wear. Buying a couple more pairs today, because I lost weight! If not for that, the couple pairs I purchased a few years ago, still are holding up. They show wear, but I guess that is the style now. Excellent stitching. I don't know what else to say! Try them, you will like them! I bought these cargo pants and I am happy with the material and fit.